Are you interested in aircraft ownership but looking for ways to subsidize costs? Leasebacks are a common method to enjoy the benefits of aircraft ownership without the hassle. If you do your research you will find numerous examples with very good and very bad results. We have found the key to a successful partnership is clear communication, reasonable expectations and complete transparency. To assist you in determining if a leaseback is beneficial we have created a spreadsheet of Leaseback Examples itemizing simple profit and loss scenarios for a variety of aircraft. Change the variables by entering the data in highlighted cells and the results will adjust accordingly. There are some variables not factored in the examples such as finance terms because each leaseback is different. We highly recommend you discuss with your tax professional the pros and cons of creating an LLC, tax implications of depreciation, etc. A leaseback will not provide you a return on investment like traditional investments. But if you would like to enjoy the benefits of aircraft ownership while having your asset professionally managed, give us a call. We are happy to discuss in more detail to see if we can create a mutually beneficial relationship. For additional information watch the AOPA Leaseback Webinar providing an unbiased perspective of lease considerations in detail. 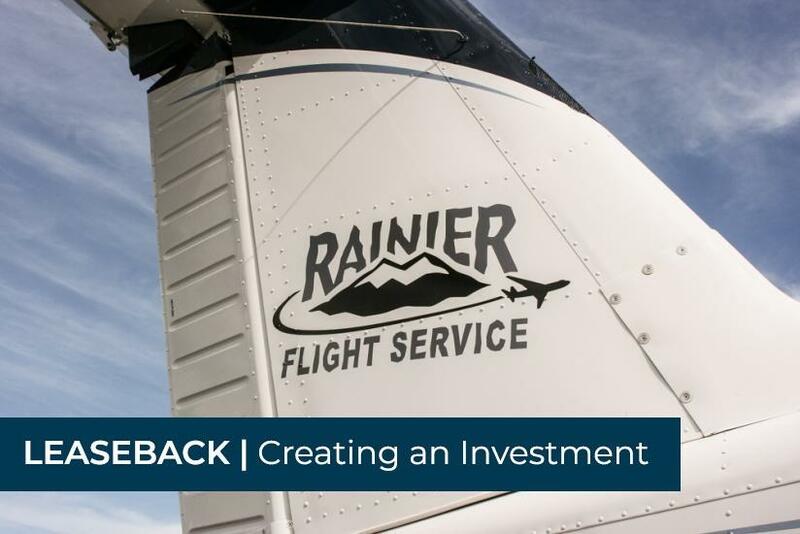 If interested in pursuing a possible leaseback with Rainier Flight, give us a call and we can see if it would be mutually beneficial.